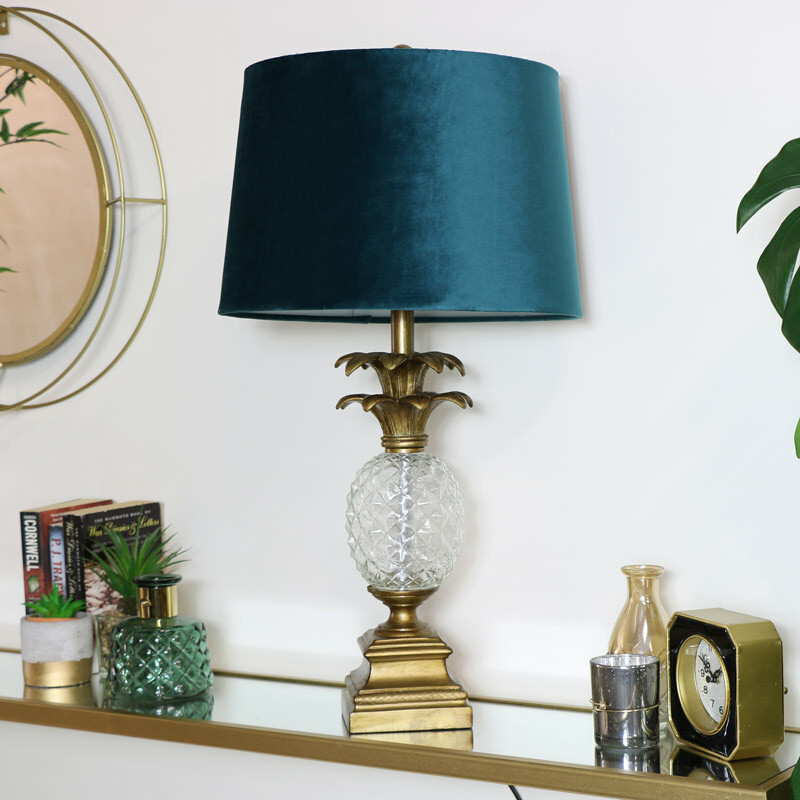 Add a vintage look to your home decor with a tropical twist with this stunning table lamp. 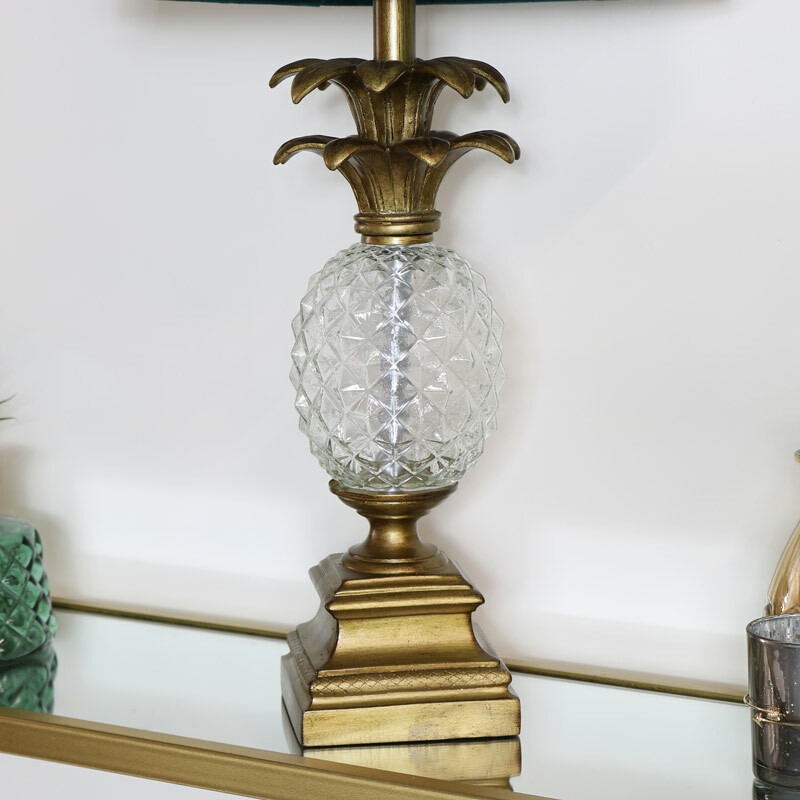 Complete with a cut glass pineapple feature that contrasts beautifully with the gold base and teal blue shade. Perfect for the modern, contemporary interior. The striking design will make the perfect statement and add some extra lighting to the living room, hallway or bedroom. Unique and quirky with botanical elements. We have a great selection of lamps and lighting with more table lamps and floor standing lamps to wall lights and ceiling pendants, ideal for accessorising your home in style. Add a vintage look to your home decor with a tropical twist with this stunning table lamp. 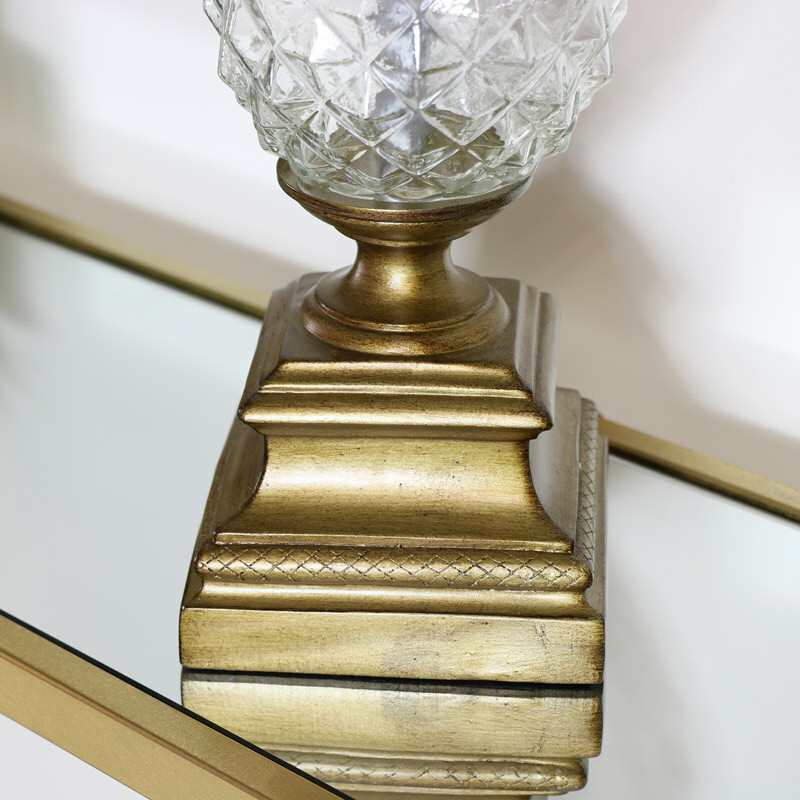 Complete with a cut glass pineapple feature that contrasts beautifully with the gold base and teal blue shade. Perfect for the modern, contemporary interior. The striking design will make the perfect statement and add some extra lighting to the living room, hallway or bedroom. Unique and quirky with botanical elements. We have a great selection of lamps and lighting with more table lamps and floor standing lamps to wall lights and ceiling pendants, ideal for accessorising your home in style.